SYNC 3 introduced by Ford: Ford is always a brand for the masses. A brand which was established years back always keeps on making their presence felt in Indian car market. And it was 2 days back on Thursday that they officially announced that it would replace its beleaguered Sync with MyFord Touch infotainment system with a third-generation system simply called Sync 3. 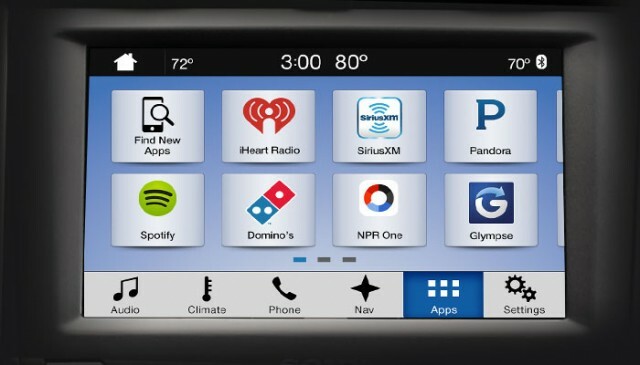 In a press release, Ford said Sync 3 would be fast and responsive, two attributes that gripers said were notably missing in the MyFord Touch system. With Ford having partnership with Microsoft having announced Sync in 2007, making Sync older than the iPhone. At a time when there were just 10 million smartphones in the US, Ford says, it was a revolutionary way to bring communications, entertainment, navigation and a connected phone or MP3 player to a unified centre stack LCD interface. Sync 3 ditches Microsoft Auto’s operating system and instead runs on QNX and Texas Instruments hardware. Because of some incompatibilities, folks with MyFordTouch will not be able to get Sync 3 in their older cars. Sync was also hard to use and slow at times. For unlucky motorists, Sync introduced the blue screen of death to the Blue Oval which was so cool. And to make it interesting, it spawned dozens more too-obvious jokes. 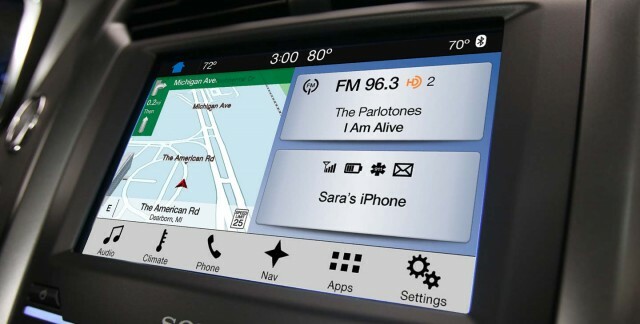 It was in 2010 that an update was introduced with more features and the term MyFord Touch — which is what Ford now describes as Sync generation 2. Fans of Sync said this is when it became useful, especially if you took the time to really learn it. MyFord Touch will not have that term being used in the future by Ford.It is mainly because MyFord Touch is identified with Sync’s current poorly treated over ease of use which does make sense in the larger view. And the brand that they are and the versatility they possess, Ford did demonstrate Sync 3 at a media and analyst event in Dearborn, Michigan. Sync 3 ran briskly in the Ford demos. Mark Boyadjis, a senior analyst for automotive technology at IHS Automotive, say: “Sync 3 appears much more responsive to inputs and in processing commands. It is clearly more intuitive to learn and use immediately,” When you power up the car, Sync loads with the map always showing on the left. Double tap the map and it goes full-screen. To make it more colourful, the ability to update the system over a WiFi connection stands supreme as well. This upgrade will not only enable users to save a possible trip to the dealer to fix issues, but will also potentially help keep the system relevant with changing technology, years after the car is bought. Along with that Ford also promised that Sync 3 would receive over-the-air updates over the course of its life and allow Ford car owners to pair the car with their home Wi-Fi so the car can receive the updates while it’s sitting in the garage at night. To sum it up, one has to say that Ford does hit the sweet spot with their new SYNC 3 as an infotainment system introduced which will be treated as revolutionary by various means. Keep in touch with the blog to get more updates about the same.